Kylie Walsh provides services which aim to support children who experiences difficulties with learning, to successfully participate in the occupations, that is activities they need to do, want to do and are expected to do. Kylie has an interest in supporting children to develop skills and confidence in their occupational roles of self-carer, being an active participant in play, a persistent learner and worker as a student. Collaboration with families is critical to this process. She is passionate about understanding and educating how to best support a child to participate in everyday routines and tasks in an optimal manner to match the demands of the task or environment. This may involve understanding motor capabilities, supporting efficient organisation of sensory input, developing attentional capabilities, prompting effective processing of information and enhancing emotional resilience needed for a task. Occupational therapy provides learning opportunities for a child through modifying a task, adapting the environment and skill development. It aims to promote looking after one self, optimal learning as a student, forming positive relationships with others to enable community participation. 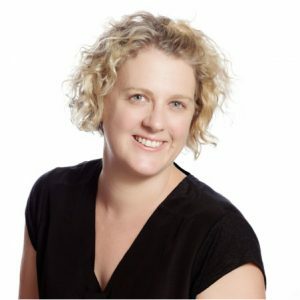 My name is Kylie Walsh and I graduated with a Bachelor of Occupational Therapy at the University of Qld in 1994 and a Master of Counselling at QUT in 2000. I have since worked in early intervention and with school aged children and their families in both the public and private sector. I am a member of the national professional association – The Australian Association of Occupational Therapists and I am registered with the Occupational Therapy Board of Australia. This acknowledges my commitment to continued professional development and assures professional excellence in my service delivery. For all enquiries and appointments, please phone or fill out the Contact Form and I’ll be in touch.